Nefer Electronic gives technical support to other firms . Nefer Electronic do your project using high technology of electronic. Nefer Electronic designs what customer wants using analog / digital / microprocessor technique. Nefer Electronic produces many test equipments. Nefer Electronic makes electronic cards design and production. 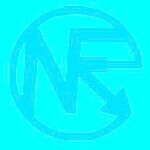 Nefer Electronic have many products on commmunication sector , industrial sector and special projects.